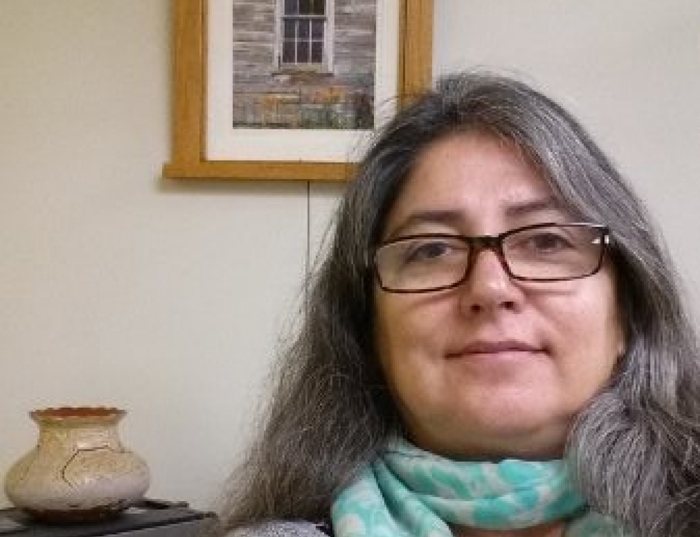 Adriana Maguiña-Ugarte is a Pitt alumna of this department. She received her MA in anthropology (Spring 1999), and then went on to receive an MS in Information Sciences (Fall 2000) from the School of Computing and Information (formerly School of Information Sciences). She was a Peruvian archaeologist interested in the development of complex societies, particularly in the northern coast of Peru where she carried field work in the 1990s. Since those early years, she has also been interested in the field of academic publications, in their translation for colleagues from around the world, in bilingual publications, as well as in the dissemination of research results in general to help advance the discipline. Adriana has been at Pitt, in one capacity or another since her arrival to Pittsburgh in August 1995. Prior to “returning” to the department of anthropology, she worked for the Institute for Shipboard Education (2001-2006), and then for the Center for Latin American Studies (CLAS), in the University Center for International Studies (UCIS) from 2007 to 2013. Currently, she is the Managing Editor for the Center for Comparative Archaeology, where she works to maintain the publishing quality of the monograph series the center is renowned for, helps disseminate publications from partnering institutions, and helps maintain the center’s online catalog and dataset.